Back in late April, there was lots of concern over Anthony Rendon. I even wrote up an analysis of what was going wrong with Tony Two Bags, since lost in the tubes of the internet. 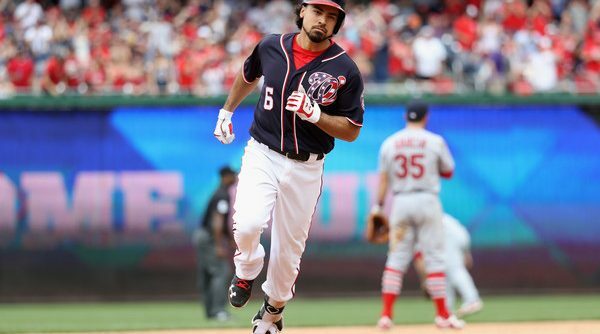 That’s probably for the best because Anthony Rendon has been hitting .289/.394/.471 with four home runs since April 29, 37% better than the league average according to wRC+. And that’s prior to Saturday’s game, where Rendon went 1-for-3 with a two run home run. There were legitimate reasons to worry about Rendon at the start of the year. 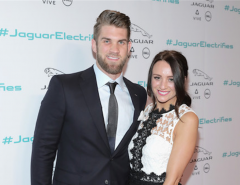 He struggled with injuries and subpar performance for the better part of 2015. He followed that up over the first three weeks of the 2016 season where he hit only .229 with a sub .300 OBP and zero home runs. Despite the poor surface numbers, there were signs of a breakout coming. His BABIP was well below the league and Rendon’s own average at .264. His soft hit rate as only 17%, so he was consistently hitting the ball hard as anyone watching those early games can attest to. Even sitting on April 28 with a .229 batting average, no one wanted to give up on Rendon. From that point forward, though, Rendon has looked like the Rendon of old. 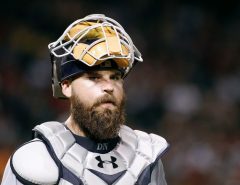 He’s seen those hard hit balls start falling for base knocks as his BABIP has risen up to .360 since April 29. That power that was missing early in the year came back with a vengeance. Rendon knocked those five home runs mentioned before and he’s tacked on eight doubles and one triple for good measure. He’s even been more aggressive on the basepaths with six successful stolen bases in eight attempts. All of a sudden, the Nats have the Rendon of old back and a six hitter they can rely on again. Back in that first piece examining Rendon’s struggles I theorized that Rendon wasn’t being selective enough. He wasn’t swinging pitches out of the zone. Rather, he was swinging at more pitches than normal in the zone, 76% of pitches in the zone to be exact. In doing do, Rendon was seeing fewer pitches in each at bat and putting balls in play before getting a good pitch to hit. I suggested that Rendon be more patient, let a few more strikes go, in hopes of seeing a pitch he could drive. Starting on April 29, Rendon did exactly that. He’s since swung at only 58% of pitches in the strike zone. By being more patient, he’s found better pitches to hit, gone to the opposite field less and hit for more power. Now, there is one drawback to this new approach. By taking more strikes, Rendon’s strikeout rate has jumped from 12% to 22%. On the other hand, the more patient Rendon is also taking more walks by nearly doubling his walk rate to 15%. Sacrificing a few strikeouts for more walks and more power is a deal Rendon should be willing to make, he’s a much better hitter by doing so. It took a few weeks, but the Anthony Rendon stepping up to the plate today is the same hitter who made such a great impression in DC in 2014. He’s patient at the plate, willing to watch a strike on the black go by early in the count in order to find a better pitch to hit later in the at bat. He’s still hitting the ball hard on a consistent basis only now he’s able to turn on the ball and hit to center or pull it to left field. Welcome back, Anthony Rendon.